Hi everyone! Blackmores is an Australian brand known to many. Those living in Singapore will wonder where I got this coz its not available in Singapore! I first bought this via Taobao coz there was a rave online that one of the famous chinese actress was seen using this on her porceline fine face. Half believing the rave, I bought it because Blackmores is a reliable brand for health supplements and I was, at that point, rather bothered with the texture of my skin – leaning towards the dry side and prone to scars due to my acne prone skin. The airconditioning was also very dry at my workplace. So I ordered for my first tube! The ingredient’s list is shown in the picture above. 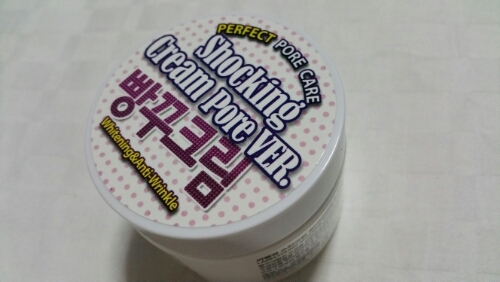 It is a white cream that on first look seems to be thick but goes on smoothly when applied on the skin. It is not oily and provides a layer of protection on the skin. The post acne blemishes also seem to clear out a lot faster. My skin feels hydrated and less dry after a day working in the office, though its true the product will slide off after perspiration. After toning, apply a pea sized drop of the cream all over the face and spread out till it is all absorbed. You can also try applying the cream on dry spots to improve the hydration. Vitamin E healing properties works wonders! I have not found any vendors that carries this product. The only way is probably to buy it when in Australia (its cheaper!) or from online drugstores that delivers to Singapore. I just stocked up another tube when a family member went to Australia recently coz one tube has lasted for at least 3 months (I only need a small redbean sized drop) and I am still using! Everyone who goes to drugstore will know Nivea. It is known for its pots and pots of oh-so-luscious-and-creamy moisturising creams, and you just know that your skin will feel well hydrated once you slather on one of those pots. If I ran out of body creams, Nivea will be the first brand that comes into my mind. I first bought it for my mom who was warded in the hospital. The air in the room seems to be drying, and I noticed that my mom (who was already on drips) had wrinkly dry skin on her arms. So I bought one small bottle for her to slather on after her shower. The skin on her arms did seem to look and feel more hydrated so I decided to use it on myself too. You see, the skin on my legs do feel quite dry and if I do not work it out (also known as sitting-around-and-binge-watching-TV at home), the skin oils do not seem to surface and I will experience dry and itchy skin the next day. So as a precaution, I will slather on body creams to hydrate the skin before I leave the house. However, the creams tend to take time to “dry out”, so I needed something quick. So when I started using Nivea Intensive Moisture Body Milk, it does seem to solve my problem. It was fast drying (sinks into my skin in seconds!) and I do not feel the annoying dry itch on my legs. Are you a regular user of Nivea? What do you think of this product? Hi all! Been a while since I’ve last posted a review. I’ve been following your posts all these time so given the little pocket of time I can find in the middle of sorting out my home renovation, am doing a post of a product that I’ve used this year. This is a product that I have purchased from Sephora USA using Ezbuy (formerly known as 65daigou). The product is priced at around USD72 for 1.2oz. From Herbivore website: “We bring you truly natural, cruelty free skincare that provides results you can see and feel. We also believe skincare should smell and feel amazing and add enjoyment to your daily routine.” Products are handcrafted and produced in small quantities. In a way, you can consider this as boutique brand that is only available for sale online. Currently this brand cannot be found in Singapore. The product aims to reduce redness and to bring balance to the skin moisture. Ingredients include blue tansy which is also the key component for the highly raved Blue Cocoon by May Lindstrom. Other oil ingredients in this product includes Kukui Nut Oil (high in Linoleic Acid, good for acne prone skin) and Jojoba Oil (fairly balanced ratio between Oleic and Linoleic Acids). Coconut Oil can also be found in this product though if you have acne prone skin, this may or may not be of concern because it depends on the ratio that Coconut Oil is used in this product. The texture of the oil is thin and runny, and it has a blue tinge due to Blue Tansy. I had used this product for 2 months. It was light and absorbed well. I had used this right after toning my skin. Each time, I will use between 4 drops (for day) to 5 drops (for night). However, I did notice that the oil does not stay on well in humid Singapore because of, hence my skin will still feel dry after 4 hours in air-conditioned environment. As such, I will recommend to only pat on this oil after your usual moisturizer if you are going to be in the air-conditioned room for a full day. Personally I will recommend used of powder sunblock instead of emulsion based sunblock after patting on this oil as powder sunblock should stay on better. I have not tried this product in dry temperate countries, but the reviews for this oil has been rather good. In terms of bringing down redness, I would say that SKII Facial Treatment Essence delivers a much quicker effect (its like in 3 secs I see the redness disappear after patting on the lotion). This oil may not bring about as visible effect or as quickly. Hydration wise, I like this oil for night application and it does make my skin appear smoother the next day (not that the acne disappear but just that the rough skin seems to smoothen out). I will consider buying this product again for the hydration – though fact is a bottle will last a long time since only a few drops are used at a time. After 2 months, my bottle still seems like I’ve only a reasonably small fraction of the bottle. You can purchase this product directly from Herbivore Beauty website or from Sephora USA website. For those of you who want to try out the product before buying full size, you can order the rollerball version to test the product. Have you used any Herbivore products before? I have never been a fan of coconut oil because of its strong scent. I love love love curry that contains coconut milk, but I would walk away from food containing coconut or that gives off a strong coconut scent. Ok, I’m wierd. Well, interestingly, I started using Raw Coconut Oil for my night time regime just about a week ago. I was researching into use of natural oil products (I have bottles of Now Solutions oils from apricot seed oil, grapeseed oil, jojoba oil, etc all sitting in my drawer – in mint state); wanting to find out more about oils for different skin conditions and how I can use them when my skin condition changes – and I came upon RMS Beauty. I found RMS Beauty through online skincare stores. You’ll ask me “hang on a minute – didn’t you have combination skin?” Yes, I do! But before you decide to trash this article, you’ll be as amazed as what the coconut oil did to my skin – without further outbreaks. RMS Beauty recommends using your clean fingers to distribute their products on your skin. I started using the Raw Coconut Oil on the day after I had my facial to clear the horrible pus and acne on my face. It had been a very very stressful period at work and my face was breaking out – my chin, my forehead and it was progressing to my cheeks. What pain! My aesthetician did a good job to drain them and to try to calm the redness on the first day. But the redness was still there on day two – and you would know that this can go on for a few more days. After washing my face with my facial foam and Clarisonic, I pat dry my skin and applied 2 drops of this oil all over my face. I didn’t apply any toner at all. However, I do have to make sure the oil is absorbed into my skin and no residue is left behind. The product gives off a faint coconut oil scent and the scent was gone after 2 hours or so. I went to bed as is. When I woke up the next morning, my face didn’t feel as oily and the redness seems to have calmed down. I continued using the product for the rest of the week and I did not break out nor did I experience any discomfort. The oil was more hydrating than when I use creams or lotions (I had been using the California baby lotion for a few months now as my moisturizer). The scabbing from clearing the acne also came off easily and I did not have any scarring. Do remember though, that you should not use coconut oil in the morning if you are wearing make up. It does not hold the make up in place due to its naturally moisturizing compounds. The product can be found on the official website for RMS Beauty and drugstore.com / beauty.com. You can – and for those of you who are in Singapore – you can go through 65daigou.com to order your items coz drugstore.com / beauty.com do not ship internationally. You can also use MyUS service to bring your goods from MyUS address to Singapore (as stated on the beauty.com website).After searching around for any RMS Beauty product presence in Singapore; I discovered that it can be found at The Naturally Better Company at Millenia Walk. They carry the entire range, including the Un-cover Up foundation that is all natural and give a dewy glow to the skin. I bought Un-cover Up from the same store as well but as I have a few tubes of Bareminerals Complexion Rescue, I think I’ll keep the small pot in my drawer for now. You might wonder – Can I use Coconut oils from other brands or even food grade coconut oils? Sure! However, do take note that there is a difference between pure unrefined coconut oil, pure refined coconut oil and fractionated coconut oil. Fractionated coconut oil is mostly in liquid form and has a much longer shelf life because the compounds that would make the coconut oil rancid after a certain period of time was removed in the process (in simple terms). You can read more about Fractionated coconut oil on OrganicFacts.net). You can also read more about different types of coconut oils at Livestrong.com. Some of us may have experienced outbreaks after using oil based make up removers. My first oil based make up remover was a Shu Uemura Makeup Removal Oil (I can’t remember the actual name now) more than 10 years ago, when I purchased based on recommendations and without researching into what works best for my skin then. My colleagues at that time raved about the oil and how amazing it was in removing makeup – so I bought it and tried to follow the instructions. My skin broke into more acne and I refused to use any oil based make up remover – not until the last couple of years where I start to fall in love with facial oils. Having both problematic and sensitive skin, micellar water would be the most recommended makeup remover in the market for me. However, I could not resist the reviews online so I bought the Senka Cleansing Oil to try more than a year ago – only to put it back on the shelf because again I experienced outbreaks. This is where I switched back to Sephora Triple Cleansing Water and Bioderma Sensibio. Interestingly, during my last vacation to Bali a month ago, I decided to give Origins Cleansing Oil a try (ah that bug got me again!) because the ingredients list said its all natural oils (no mineral oil). I braced myself for a round of outbreaks (again). Interestingly, the experience changed my mind and my understanding on using cleansing oils. This is what I learnt during and after I returned from my trip to Bali – after using Origins Cleansing Oil for a full week to remove my sunscreen. Use any amount you think your face needs. The important point is you need sufficient oil to soften the day’s grime and lift the grime off your skin. Think hydration. After a long day, you may have makeup that becomes stubborn after mixing with perspiration or oil. Use generous amount of oil (I usually use about 2 tablespoon) and gently spread it on your face, to help you ‘moisten’ the dryer patches and help ‘lift’ the makeup. Spread and massage the entire face with fingers, gently (we don’t want wrinkles and lines!). You will notice how nicely the makeup gets lifted by the oils. Massage for about 1 minute in circular motion. When you want to remove your eye makeup (esp eye shadow and primer), use your ring fingers and glide gently around the lids and eye sockets). As you massage, you may feel some little “grains” on your fingers. Take a look – these could be dead skin or hardened white heads that “popped” out as your fingers massage the now hydrated skin. It dawned on me that my past outbreaks could be due to the lack of oil used on my face. It was not sufficient to breakdown the day’s grime and makeup hence end up clogging my pores. Well, so much about trial and error and second chances! After the massaging (some of you may prefer to perform “acupuncture” by pressing on selected acupuncture points on the face to enhance blood circulation so that can take more than 1 minute), remember to wet the face (with oil still on it) and again in circular motion, help the oil emulsify and be lifted off your skin. I perform two step cleansing so this is followed by a foaming cleanser and my clarisonic to “shake out” any residue in the pores after emulsifying. Always emulsify your cleansing oil thoroughly so that it can be cleansed with water thoroughly. Cleansing oils are not for those who are always in a hurry. The particles takes time to be lifted. I am comparing Senka Cleansing Oil (mineral oil based) vs Origins Cleansing Oil (natural oil based). For the second wash, I always and only use Senka Perfect Whip Foam and clarisonic. The result? Senka Cleansing Oil may come from the same family as Perfect Whip Foam, but the post second wash hydration level paled against the post second wash for Origins Cleansing Oil. My skin feels more hydrated after using Origins Cleansing Oil and Perfect Whip Foam. Mineral based Cleansing oil not as good as Natural Oil based Cleansing Oil? I am not sure. For this I will need you to test and let me know what you think. So what do you think? Do you have similar experiences? As you know I have been posting my reviews for Label Young products and indeed I have received high hit rates from my review on their Shocking series (check out my archives!). Most of the searches are made from Vietnam, Thailand and I am grateful for readers from south east asia! Thank you!! Alright, back to this post on Label Young Shocking Mist 1 and 2. I have been trying out this product in the day and night for about 2 weeks now,so I think it should be a reasonable point to share what I think of this product. Will update this section when I manage to find out what it contains. The suggested method is to spray Step 1 on the face (ie the Toner), pat in the product before spraying on Step 2 (ie the “Cream”). What I did was to spray Step 1 onto the palm of my hand before patting the product on my face for absorption. Then I will spray Step 2 onto my hand, spread it between two palms to lightly “warm” the product before i pat the product onto my skin. When I apply my bareminerals foundation over my skin, the cream seems to behave like a primer and held my foundation better (of course it cannot compare with my favourite Laura Mercier primer). Even after moving around for an hour out in the hot tropical weather in Singapore, about 70% of my foundation remained in place. This is completely different from if I had used some other products where my foundation would have ran and left patches on my face. Will I buy this again? Well the product didn’t break me out and it did seem to have the right texture for my skin. I feel rather refreshed using this product and it also seem to give decent level of hydration for my skin especially when I work in air conditioned environment most of the time. So YES! I will include this product on my repurchase list. Koreadepart (EN) is my go-to place. Qoo10 is another online spot that I will grab this product. Else, check out Label Young official website! Abidis Cosmetica is one of the brands under Laboratorios Ximart, which is located in ArrigorriagaI, in the province of Bizkaia, in the north of Spain. Laboratorios Ximart has been doing business for six decades, producing and distributing cosmetics, and hairdressing and personal hygiene products which are sold in twenty five countries in several continents. My beautician / aesthetician from Face Essensuals recommended me to Abidis Peeling A to improve the clarity of my skin which clogs easily. The product ingredients can be found from the image that I’ve included in this post on the left. This product is for cleansing and peeling, and it can only be used on dry skin. The product is white and dense, and the texture feels like the Queen Helene’s Mint Julep Masque but more moist. Apply the product thinly on dry skin and leave it to dry. I leave it on for 3-5 mins usually to benefit from some mild peeling effect to help exfoliate my skin. Given my combination skin condition, my aesthetician recommended that I use this product in the morning, before I prepare for work. I can then wash off the product like a cleanser before I moisturize and put make up on my skin. One can leave the product on till it dries. After I washed off the product, I find my skin hydrated and smooth! After the 3 steps, I find my foundation adhere better on my skin! I also do not experience any over sensitive skin or redness on my skin. Another point to take note is that this product can only be used 2-3 times a week but not every day. You can purchase this mild peeling product from Face Essensuals in Singapore, or from online shop Ayurin. Will I restock this product – probably because this product is pricey! Its about S$125 a tube though a tube can last for a long time. Hi all, recently I had a little problem with dry patches. As you know, it was a difficult period for my family when my mom was hospitalised. I’m so glad she is discharged and could be treated at home. Now I can find some time to take care of my skin, which strangely, has gone quite dry of late despite the unusually rainy season in sunny Singapore. The dry patches are on the lower sections of my cheeks and I was quite terrified because I thought dry patches should be almost unheard of in a country where humidity is very high. So what did I do? No excuses for not cleaning your face after a long day at work or outside. Grime will accumulate and we should learn to clean them off our skin with appropriate cleansers. During the period where I had dry patches (no itch), I continued to clean my skin with my foam cleansers and clarisonic. Please don’t be alarmed, I was very gentle with my clarisonic because the other sections of my face is still normal to oily. The dry patches are only cleansed with my foam cleansers. If you are experiencing itch as well, please switch to milder cleansers and stay away from clarisonic for that day and use Foreo instead. I will recommend the use of Bioderma Sensibio to clean your face or mild cleansing lotion that can be wiped away with soft cotton. Some of the Japanese products such as Albion and Shiseido adopts different skincare philosophy and would recommend to reverse the wash-tone-moisturize process. If you are following the usual wash-tone-moisturize procedure for skin care, please use non-alcoholic toners to sooth the already sensitive dry patch. Your skin should feel a lot more hydrated the next day. I use facial oils for the next two days and it helped to keep my dry patches hydrated. In fact, I noticed that some of the dry skin flaked off when I gently massage the facial oil onto my skin. I also choose to use foundations that will increase my skin hydration (e.g. bareMinerals Ready Foundation).My skin is now smoother and more hydrated. Of course, drinking lots of water will complement your efforts to keep your skin hydrated. I finally opened up one of the items that I’ve purchased in my last Koreadepart haul! 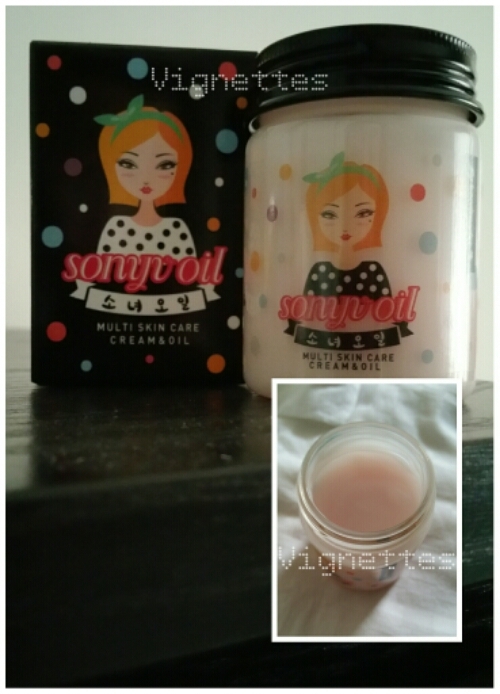 This time, its the Sonyu Oil by handmader which I have been itching to try because its OIL! If you recall, I love to use oil, and have been a proponent for oil on oily skin. This time round, I am on the road again to try out his cream-oil, that remains to be a rave on social media. The Sonyu Oil is a cream & oil product, intended to deliver non-lasting, long lasting moisture to dry skin. It is light and has a light pink shade (see inset). There is a second version that was released (and yes I bought that one too!) but this was the first of the series to be released. The key ingredients of this oil are honey extract, propolis, aloe vera leaf, shea butter, pomegranate oil, argan oil and jaguen oil. The product does not contain parabens, ethanol, artificial colors, mineral oil, benzophenone, steroids, phenoxyethanol, triclosan, paraffins, imidazolidinyl urea, triethanolamine, petrolatum, formaldehyde, methylchloroisothiazol inone, sulfate, chloride nesin page, talc, BHA, isopropyl alcohol. The recommendation is to shake the content 3-5 times lightly until the white hydration cream mix with the red face oil to form pink cream-oil. Normal skin users are recommend to apply this product as last step of skin care. Those with dry skin are recommended to apply on skin after the wash and tone, but for oily and combination skin, it is recommended to apply this product directly on the face without toning or serums. Users can also mix a small pea size of this product to bb creams or foundations to create glowing make up. I have combination skin, but I feel that my skin absorbs the product better when I prep my washed face with a mist of Albion Skin Conditioner before I apply this product. To apply, I will take out a 20c coin size onto my palms. then I will spread and warm the product in my hands before I apply it onto the face. The hydration is more effective than the Shocking Pore series and I do not experience outbreaks. I also do not feel tightness when I am working in an air-conditioned room. This is not a good primer for skin with larger pores so I recommend primer to be use before makeup. My skin also do not feel as tight after washing at the end of the day. The usual places of course! Koreadepart and Label Young official website. The Label Young Shocking Pore Cream is the other Label Young Pore series product that I have yet to review. This Shocking Pore Cream is to be used together with the Panku Skin and Lotion, which aims to tighten and hydrate the pores as well as deliver whitening and anti-aging effects. The Label Young Shocking Pore Cream reminds me of thick clear gel. The purpose of this cream was to tighten and even up the pores, as in the case of using a primer to “flatten” the gaps created by the open pores so that the skin looks smooth and glowing. It also works well in hydrating the skin. Compared to the Shocking Skin and Lotion, the Shocking Pore Cream seems to do better at hydration, if I need to choose the most effective of the two. From the Koreadepart website, the the Shocking Pore Cream’s main ingredients are Bentonite (containing more than 60 kinds of natural minerals, kaolin, ECOCERT organic ingredients, soybean fermentation extract. This product is also, from Koreadepart, recommended for those with big pores or pores with blackheads. I didnt find significant changes to my pores but the hydration seems to be the more satisfying outcome. It was recommended that one applies the Shocking Pore Cream right after the Panku Skin and Lotion, or to chill the gel in the fridge before applying on the face as a mask. I have been reminded about my pores clogging easily so did not try to use the Shocking Pore Cream as a mask (seals up the pores). However I did use it like a cream that enhance the hydration of the Panku Skin and Lotion. I only use a small pea size at a time and warm it in my hand before I spread it on my face. After using the Label young Pore Series for almost a month, I like the Panku Skin and Lotion, but find that it is not moisturizing enough when I am in an airconditioned or low humidity environment. The Shocking Pore Cream helps to improve hydration by acting as an additional layer to seal in moisture. No outbreaks so far.